Donald’s life began on January 13, 1934 in El Dorado. He is the son of William A. and Thelma (Stebbins) Simmons. He was united in marriage to Shirley Lee Eggen on July 17, 1954 in El Dorado. Donald served his country in the United States Army during the Korean War. He worked most of his life in oil fields for several companies including Towanda Well Service and Hogoboom Oilfield Services. Donald was a member of the Towanda First Baptist Church. His loving family includes his children Donald L. (Jana) Simmons of El Dorado, Connie Jean Simmons of El Dorado, Gary R. (Sharon) Simmons of Leon, and Joe (Kimberly) Simmons of El Dorado; 13 grandchildren and 11 great grandchildren. 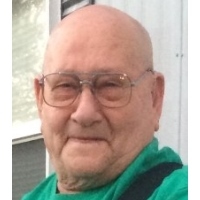 Donald passed away on December 3, 2018 in Wichita. He is preceded in death by his parents, wife Shirley, son Larry Gene Simmons, grandson Wayne Burris and brother Robert L. Simmons. His family will gather with friends on Thursday from 4-7 p.m. at the Carlson Colonial Funeral Home where his service will be held on Friday at 2 p.m. led by Pastor David Gibbs of the Towanda First Baptist Church. Donald will be laid to rest with military honors in the Towanda Cemetery. Memorial contributions in his name may be directed to the Arthritis Foundation or the American Diabetes Association in memory of Shirley. Please sign his online guestbook and leave a memory of Donald at www.carlsoncolonial.com.